Yes! Anyone can learn to read faster! Results begin immediately, with little effort and a lot of fun! Double your reading speed or your money back! 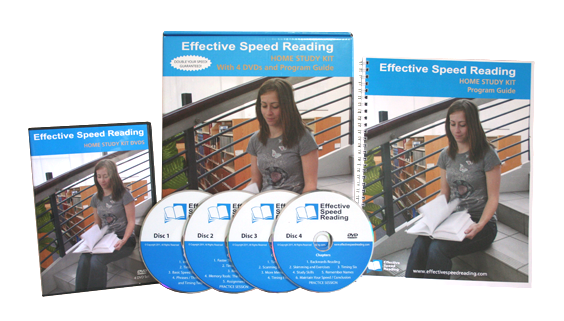 What will speed reading do for you? Comprehension is the whole point of reading. With the "Read Very Well" method, an increase in speed does not mean a drop in comprehension! Overall, comprehension scores increase, and for some the improvement is dramatic. Throughout the course, there are six comprehension checks to ensure confidence. Home Study Kit Available Now! Creator and course developer Evelyn Levson has personally instructed over five thousand individuals since 1992 . She has drawn her expertise from her years of experience, and from extensive research of numerous speed reading and speed learning textbooks and courses. She has chosen highly efficient techniques to increase reading speed quickly and easily. Comprehension remains unaffected and often improves. Over 99.5% of students at least double their reading speed! Click here for more info on the Home Study Kit.